The romance between Cardi B and Offset are heating up! The couple packed on some PDA during their April 14 performance at a Coachella Valley Music and Arts party in Indio, California. 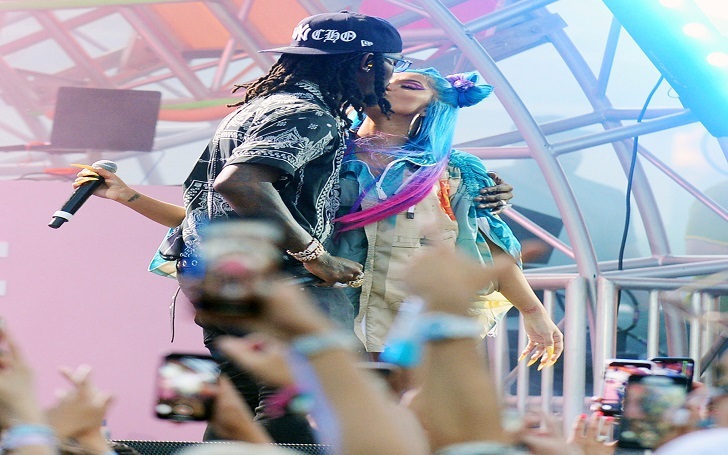 The Invasion of Privacy singer, 26, surprised the attendees of the REVOLVE festival by taking the stage for her husband's last song Sunday night. The couple looked so in love when they shared a sweet kiss during their "Clout" performance. The musician couple secretly married in September 2017. They who share 9-month-old daughter Kulture, who they welcomed in July 2018. 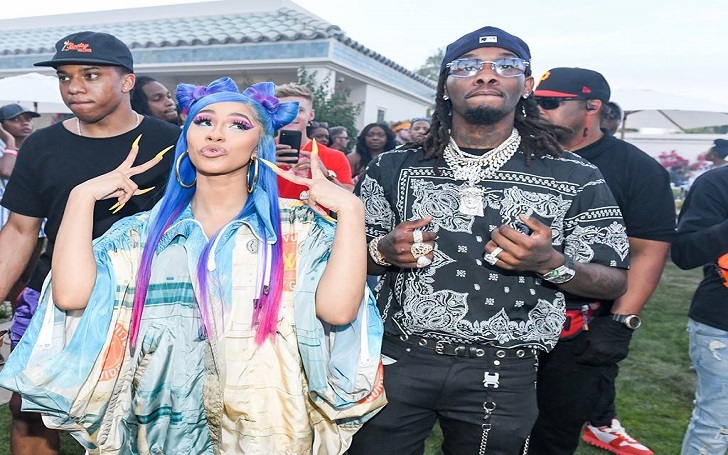 The I Like It rapper announced on Instagram in December 2018 that the pair had split but sources reported weeks later that they reconciled their relationship after being spotted together at a trip to Puerto Rico. The Migos rapper later joined his wife on stage while she was taking the award for Best Rap Album at the 2019 Grammys. While appearing at The Breakfast Club later that month, he revealed that he and his wife worked on their relationship in marriage counseling. He said at the time, "[We’re] working through it. Gotta work … don’t stop … we’re young, man." Most recently, the husband-wife duo was spotted enjoying a getaway in Cabo San Lucas, Mexico, where they were "all over each other."